I’ve been following CAD/JPY for a while because I was waiting for the breakout. There was a confirmation of this about to happen in the daily chart. I’m in this trade right now and currently at +61pips. Why did I choose bear? 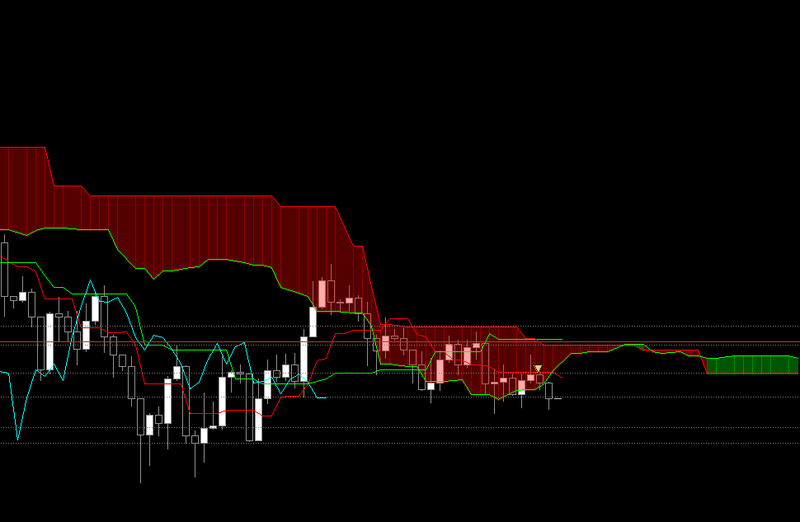 The red “cloud” you see on the chart is a resistance. The reversal pattern and the cloud plus the green and red line all indicates a bearish flag. This is a high probability trade and we may see some consolidation tomorrow by making a new low then pulling back, then breaking all the way down. If you’re going to get in this trade now, just make sure to put your stop loss.